Nearly 800 Members. One Unified Voice. Click here to find your U.S. Congressional representatives and state legislators. Check out the Press Releases below for more information on what’s happening in our government and how we are advocating for you. “Our membership in the Alliance is an invaluable asset to our company. Most importantly, the Alliance works on legislative issues that are very important to our business and our industry.” – Jim Siegfried, AAM, Crystal Lake Automotive, Lakeville & Burnsville. Contribute to the AASP-MN Political Action Committee! 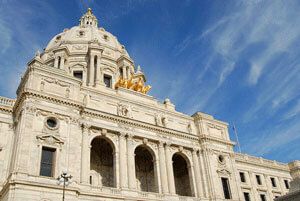 The Alliance serves as the unified voice of the independent automotive service industry in Minnesota. Our representation at the State Capitol, before regulatory agencies and within the greater automotive service industry, has consistently produced direct and positive results for the day-to-day operations of your business. We help ensure the future health of our industry by developing and maintaining relationships with those influencing policy affecting our industry. We introduce and advance legislation that helps member businesses and serve as a watchdog as various proposals move through the complicated process of becoming law. We alert our members to changes in policy that affect their business. Introduced legislation that would prohibit insurer steering for estimates and insurer mandates to utilize particular vendors and suppliers. (2014 and 2015). GEICO Fined $30,000 by MN Commerce Dept. AASP-MN Bill Prohibiting Desk Audits Signed by Governor Pawlenty!